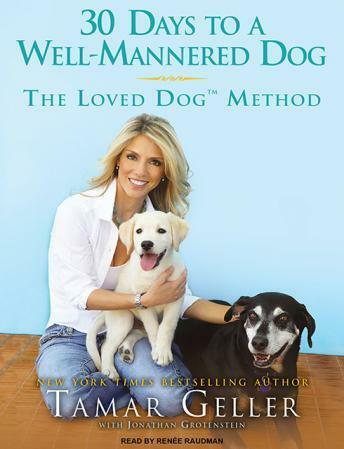 Widely regarded as the anti-Cesar Millan by dog owners and experts, Tamar Geller's nonaggressive approach to dog training is based on love, play, and mutual respect between dog and owner-much like how a wolf plays with its young. Using a combination of child psychology and animal behavior science, Geller revolutionized the way Americans train their dogs and has won the approval of the Humane Society, for which she is a longtime adviser. Now she expands on her play-training methods and offers a day-by-day, easy-to-follow plan for raising a happy and well-mannered canine. In this step-by-step guide, Geller gives dog owners all the essential training instructions, insights, and tips, including housebreaking, socialization, commands, hand signals, games, developing a routine, and much more. Throughout, Geller explains theories on how dogs think and breaks down dogs' basic needs in simple yet engaging language. She also makes fascinating connections between raising a puppy and the process of nurturing a toddler that will shed new light on dog training. Whether it's a new puppy from the pet store or a rescue dog from the pound, this is the ultimate go-to reference for anyone who decides to bring a new dog into their home-or improve the behavior of the family dog in just one month. Turns out, you can teach an old dog new tricks!